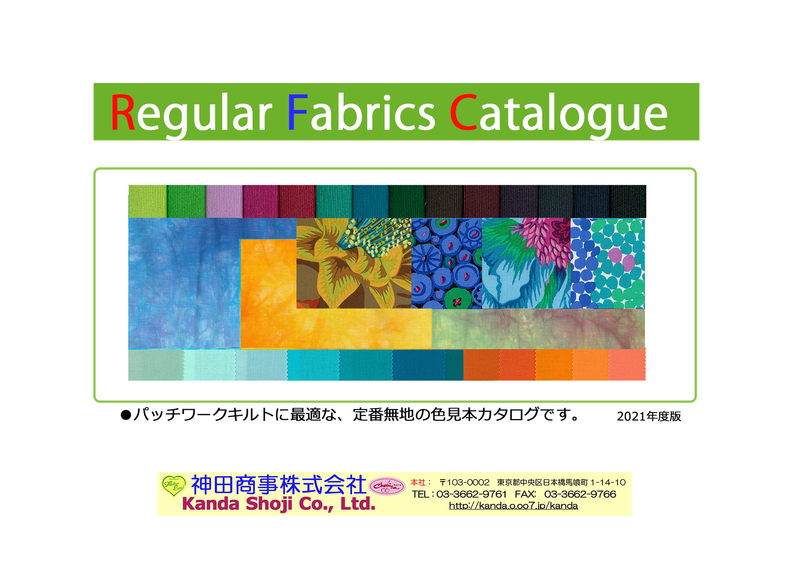 You can browse all the catalogs below which are written in Japanese. (Sorry for not in English) Please use the item numbers when you place an order with us. You can see the handouts of our new products. You can contact us via email. Please feel free to contact us in English if you are interested in our products. You can find our company information. 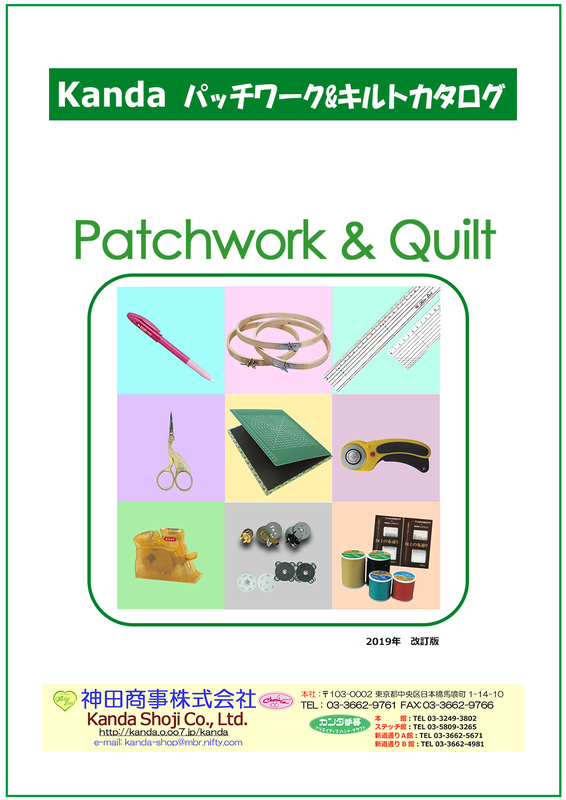 Tools and materials for patchwork-quilt. Mother Land is our own brand, and we produce many items for patchwork-quilt. We also deal in many items from Japanese suppliers such as Clover and others. Please feel free to ask us if we are in the position to secure what you want. 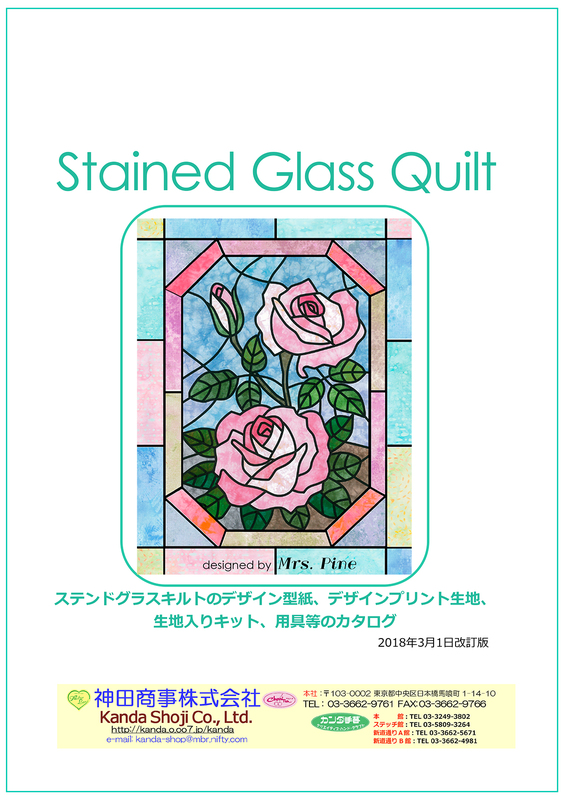 We have more than 70 designs for making Stained glass quilts. To make a Stained glass quilt easier and enjoyably, we produce exclusive printed cloth "FUN and EASY" for stained glass quilt. We have 18 designs now. All the designs are created by Mrs. Pine, a Japanese designer Nobu Pine. Solid cotton Fabrics for patchwork-quilt, from eighty square, sheeting, cotton satin, moire, and others. We also deal in our own original Cloud-blur print called "Hontaru-Murazome", which is best for Stained glass quilt and Hawaiian quilt. Regarding printed cotton we hanlde, please feel free to ask us. We import USA printed cotton fabrics directly from more than 20 USA suppliers. We alsodeal in Japanese fabrics from Lucien, Cosmo and others. Shade cards of various threads for patchwork-quilt and sewing.We have our Mother Land thread for quilting. We also deal in Dual Duty, Metler, Coats, Guitterman, Shappe and others. 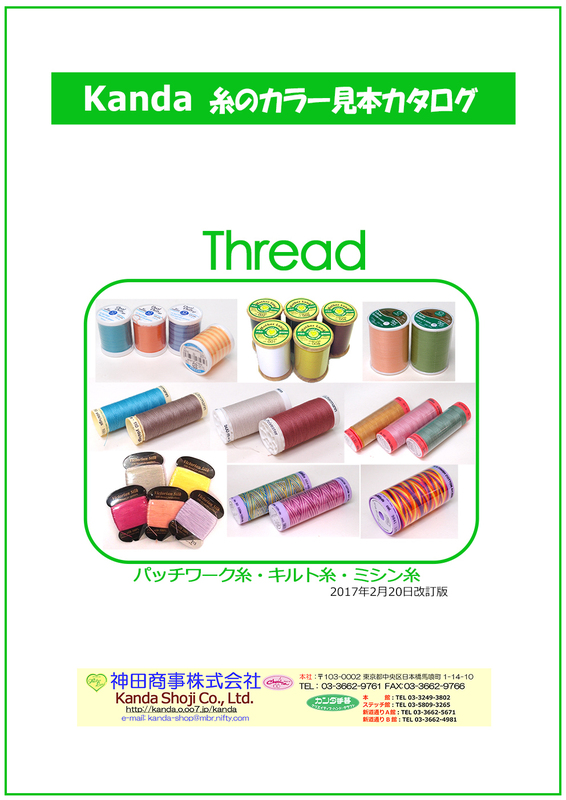 You can find beautiful mixed colored thread, metallic thread, gradation thread, and so on. 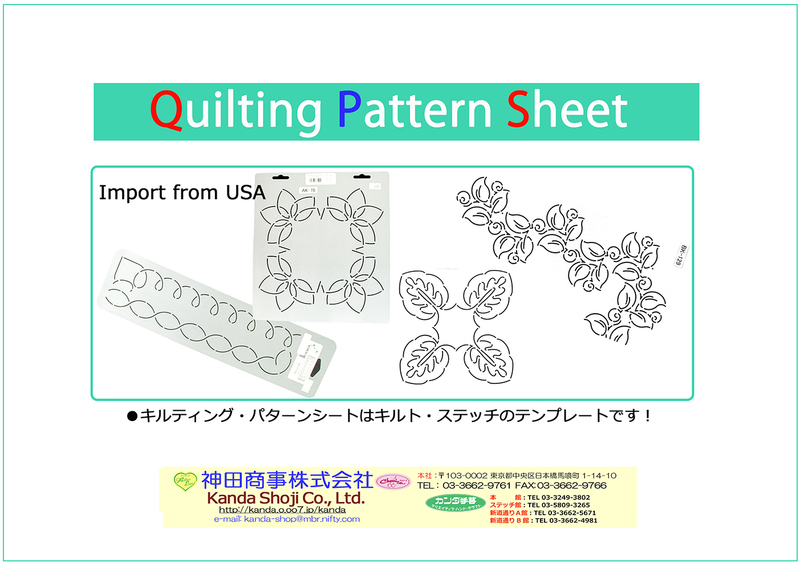 We import plastic Quilting Pattern Sheet from USA. There are various designs for quilting stitch. AK series are for square shaped quilt stitch, and BK series are for rectangle shaped quilt stitch.You can easily trace the line on the fabric you are making. 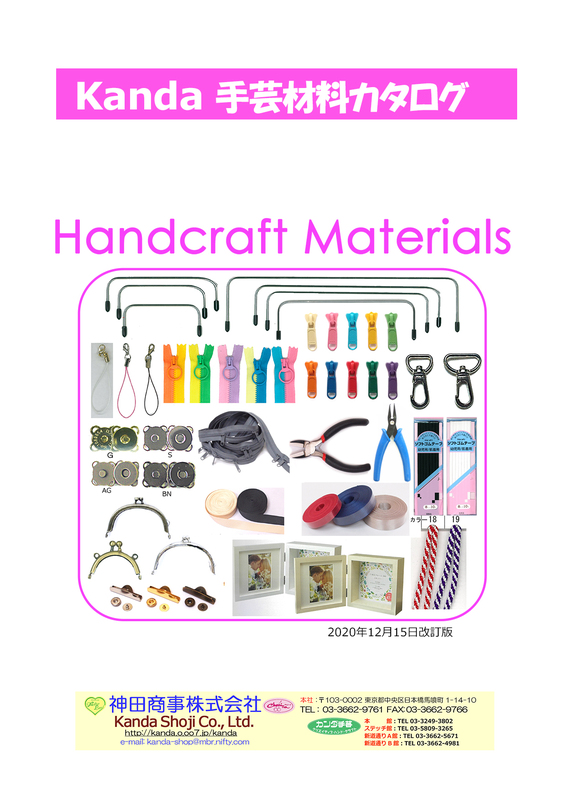 Zippers, clasps, magnets, tapes, cords, and metal parts for making handicraft items. There are many kinds of plastic beads for making pretty items such as charm straps. 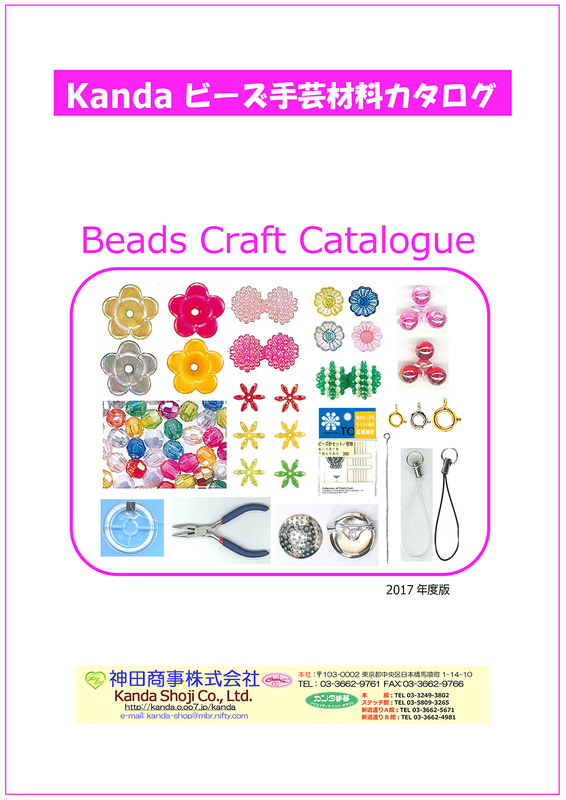 We also present tools and materials for making beads accessories. 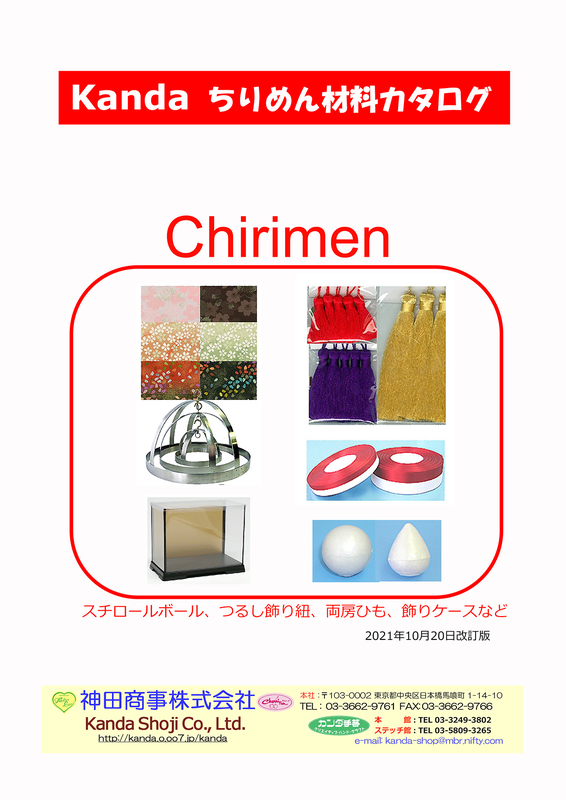 Chirimen is a Japanese traditional fabric originally used for Kimono, and we deal in Chirimen for handicraft. 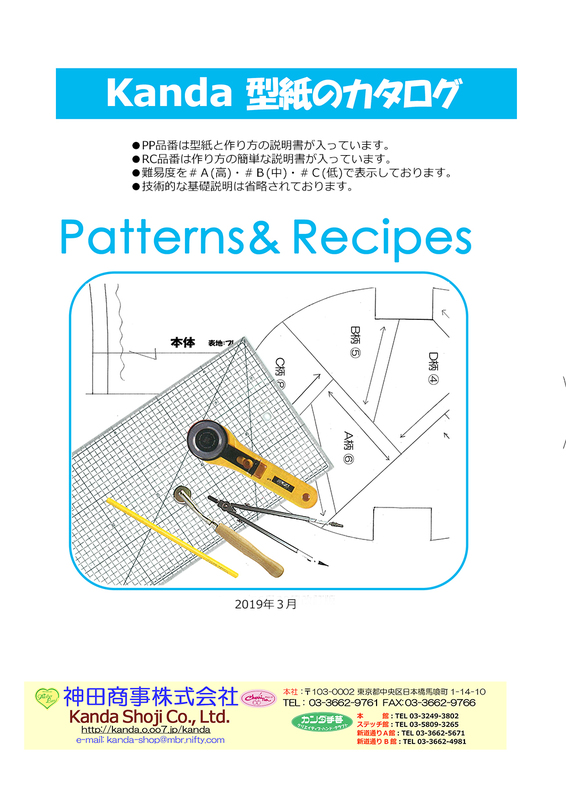 We present various tools and materials for Chirimen- handcraft items. 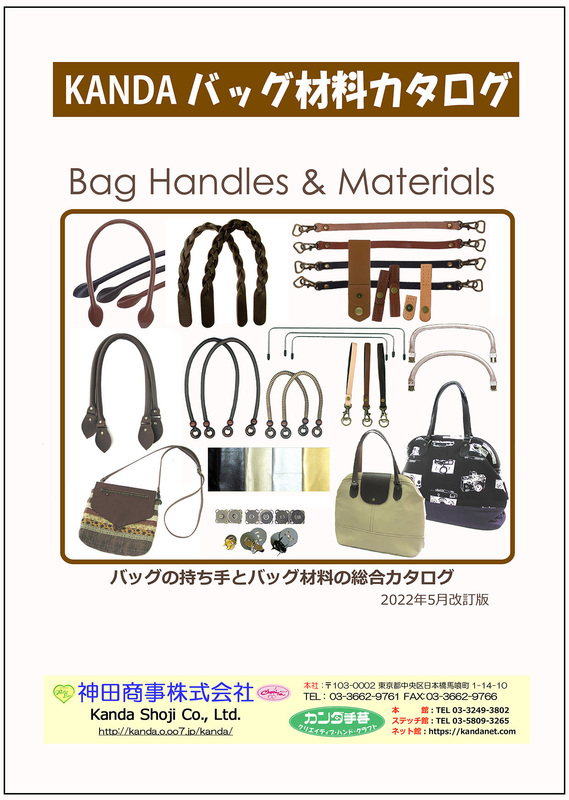 We are a manufacturer of our own brand Mother Land, and are producing many bag handles. There are leather handles, plastic handles, and wooden handles. We alsodear in various kind of bag making tools and materials. 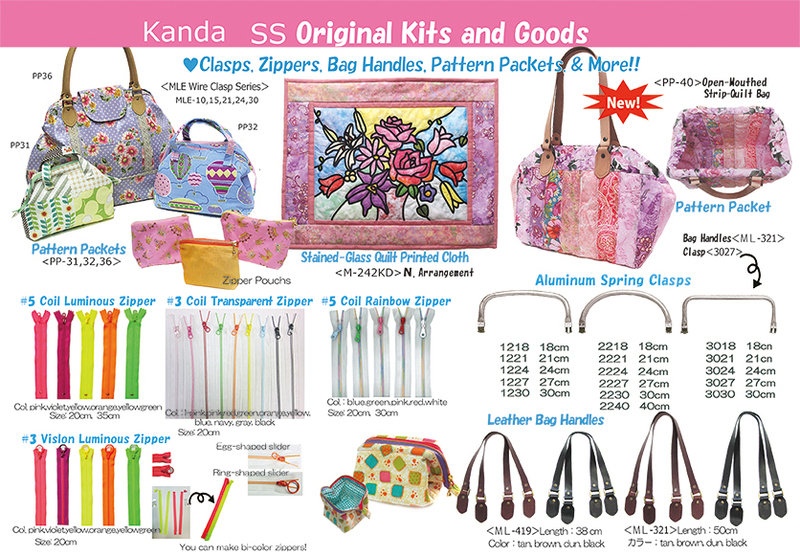 We produce various kinds of handicraft kits made of fabrics. 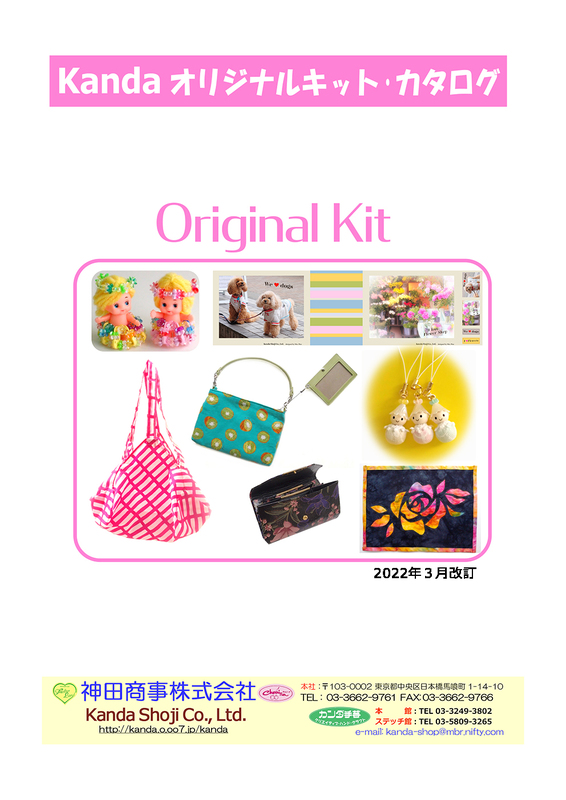 These colorful and lovely kits are full of originality and creativity, and they canot be found anywhere else! We can make English directions if necessary for more than 10 pieces order each. 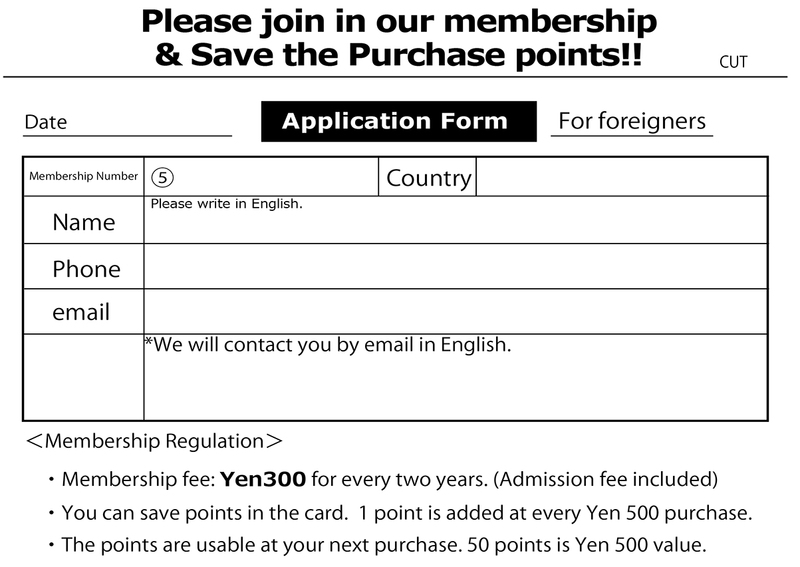 When you visit our stores, please join in our membership and save the purchase points. You can make pretty pouches and beautiful bags with these patterns. The instructions are written in Japanese, but we can translate it into English for orders above 30 pcs. per one style.